You don’t need some fancy pants ”mixologist” to make your drinks! Give ‘em the high hat, and make your own with this beautifully illustrated cocktail chapbook adorned throughout with the art of cartoonist and illustrator Russell Patterson. These cocktails and illustrations come from a time when men understood the art of imbibing, and women could match them drink for drink. 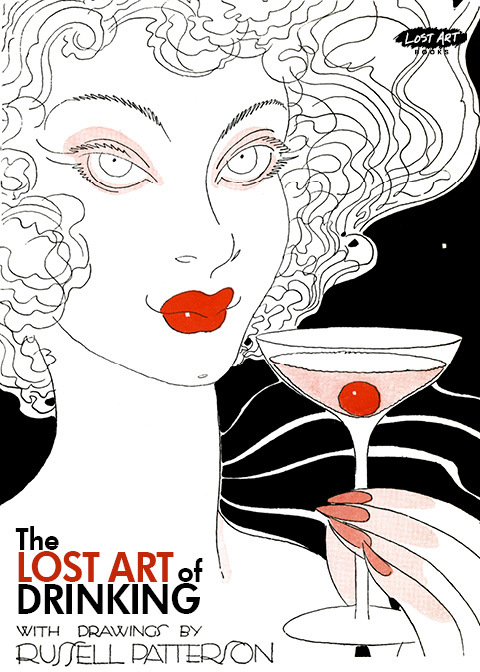 Patterson was the top Jazz Age drinker and drawer of his day, with a style that overflows with sophistication and urbanity, frivolity and fun, and this book provides a glimpse into Patterson’s mastery and an era when drinking culture put a premium on sophistication and wit.